Brand Position: Strong Margins, Quality of Life. Mature, time-tested business model to help remodelers achieve strong margins. Code of Values: Value System that integral to how we operate our business: above the line. Dedicated Franchise Coach for every franchisee. Customized Marketing Plans and Support. At its core, the DreamMaker opportunity is a faith-based remodeling franchise that helps entrepreneurs and remodelers earn strong financial numbers while having a focus on improving their quality of life. DreamMaker Bath & Kitchen is an industry-leading remodeling franchise with a 96% recommendation rate from current customers, very positive reviews from current franchisees on Franchise Business Review and over 80% unit store sales growth since 2011 according to our 2018 FDD. Drive. You must be motivated to succeed. Heart. We seek people who prioritize people first and profits second and understand that you need both to succeed. Focus. It’s important to set goals and use benchmarks to succeed. Values. We look for people who are attracted to our Code of Values™ because it matches their own values. DreamMaker is active within NARI (National Association of the Remodeling Industry) and has taken leadership positions in the organization and within the industry. Our franchisees are among a top-performing group that also participates in GuildQuality ratings. GuildQuality surveys customers and publishes customer satisfaction surveys that let homeowners know whom they can trust — and DreamMaker’s satisfaction scores are stellar (based on completed customer surveys of participating franchisees). A full 96% of our customers would recommend us to a friend or family member. 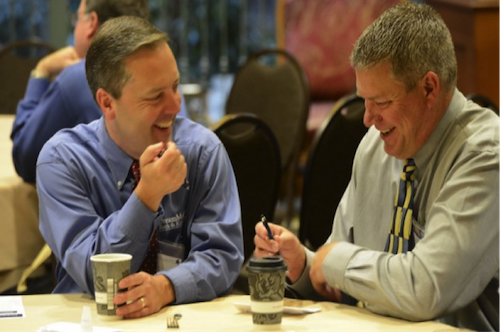 That sort of word-of-mouth powers the long-term success of a remodeling business, and it’s a direct result of the excellent franchisees we attract and the systems we have in place to help them succeed and serve their customers. “It is a business based on biblical principles. You start to see the heart of Doug (Dwyer, DreamMaker president) and see that he is different. For him, it’s not about money, per se. No question, he is a hard negotiator trying to make a profit, but not at the expense of others. He has integrity. The other thing I appreciate is the strength of the other franchisees. You just see really, really good people morally who are doing their best and working to get better, and who are willing to share ideas and help you out. It’s a real family atmosphere. From a business standpoint, if you are willing to plug in, that means that instead of coming up with 10 marketing schemes, I can talk to two or three guys and find out what has worked for them and what they would do differently if they had a chance to start over. That sharing, to me, is the strength of the whole organization.” – Steve Betts, Lubbock and Amarillo, Texas. 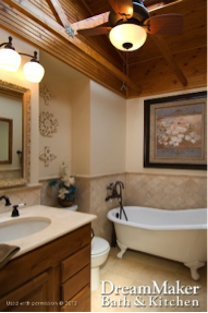 DreamMaker Bath & Kitchen has a rich heritage in home remodeling franchising. It started out as part of The Dwyer Group, which has decades of experience helping plumbers, electricians, landscapers and others build successful franchise businesses. 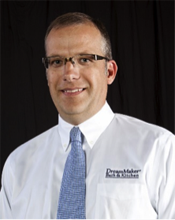 In 2003, Doug Dwyer purchased DreamMaker as a separate entity. He retains close family ties to some of the leadership of The Dwyer Group and benefits from the deep franchising history that was established by his father, the late Don Dwyer Sr., a visionary businessman. His father also started the International Franchise Association’s VetFran program, which offers discounts to make franchise ownership more affordable for veterans. DreamMaker has continued that legacy by providing extraordinarily detailed systems and tools to help entrepreneurs start and grow a remodeling business. Some of our owners were new to remodeling when they started their DreamMaker franchise. 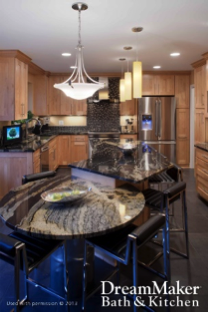 Others already owned a remodeling business, but found a new level of success — both in their business and personal lives — by becoming part of the DreamMaker family. DreamMaker currently has 36 franchisees across the nation.